A fabulous tote bag with short elbow handles and long adjustable removable long strap. 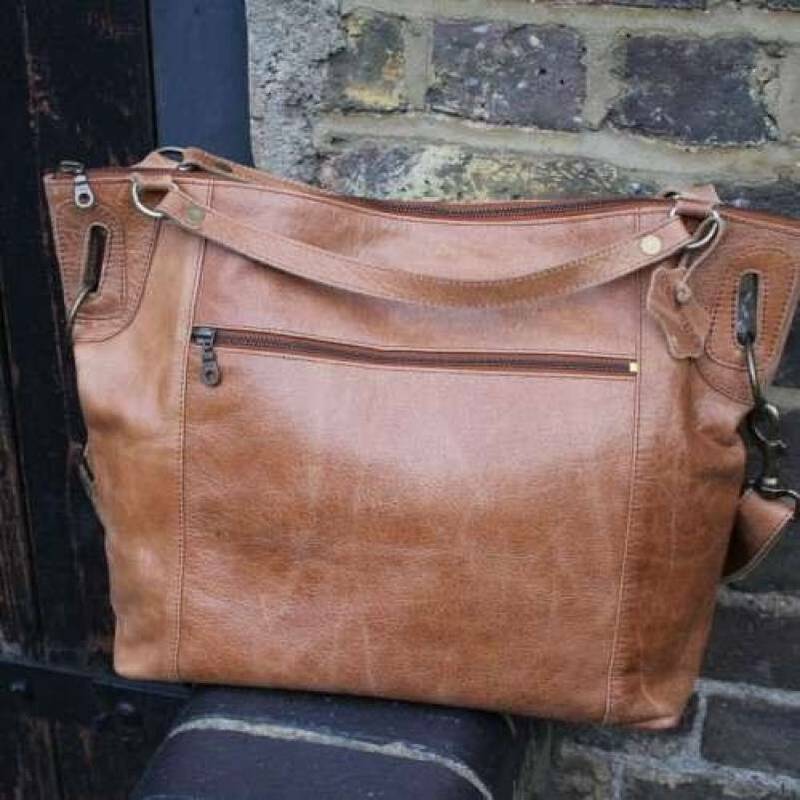 A fabulous tan waxy leather tote bag with short elbow handles and long adjustable removable strap. The width is 45.5 and the height is 34cms. The front pocket measure 26cms and the internal pocket measures 18cms wide. The weight is .730kgs and the strap measures 134x3cms. This is a very practical bag and very lightweight with waterproof lining and brass fittings.